This is the kind of recipe you want to make for someone you really love, even if they aren’t around to share it. 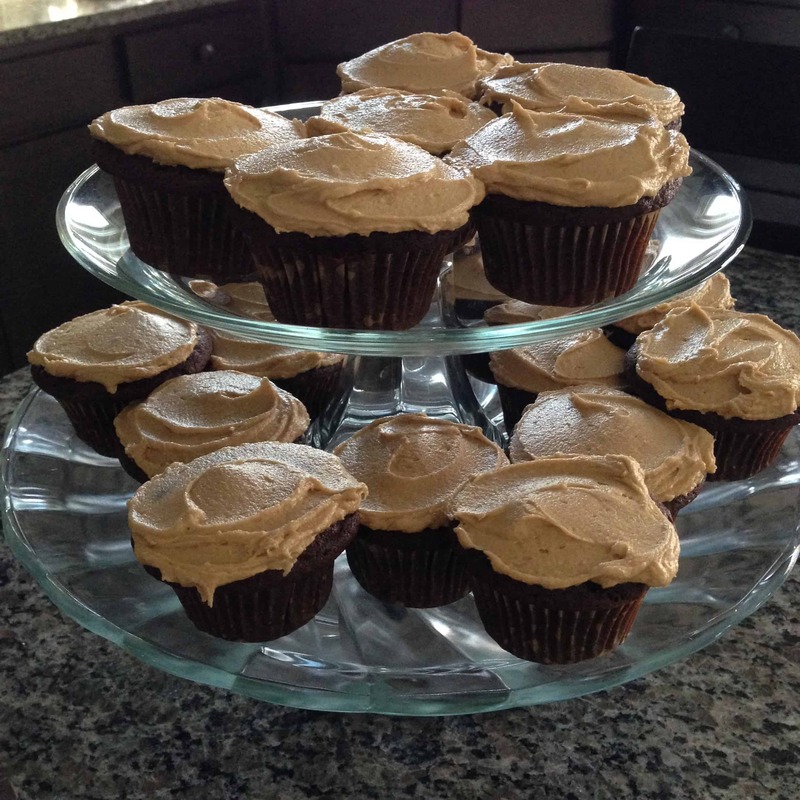 And that’s just why I made these Chocolate Cupcakes with Peanut Butter Frosting. My brother Julian loved Reese’s Peanut Butter Cups with a passion–something that certainly rubbed off on me. He would have been 38 years old today. Read on for a very personal post and the recipe. I remember Julian’s first birthday after he died. It had been a little over 7 months since his accident, and when I realized what day it was I felt this deep emptiness and confusion. It was a shocking emotion that I had never felt before. I remember talking to a friend and telling her how strange it felt to not know what to do. What could I do? It was still his birthday. I didn’t want to just let it pass by; I couldn’t tell him happy birthday; I couldn’t go visit him or call him on the phone. I felt like I couldn’t do anything. Cooking and baking, for me, is truly an act of love. Although it is often done with whimsy, it is never mindless. I care about what I make, and I think about who I’m going to share it with, keeping them in mind during the entire process. So, this is what I decided to do for Julian. Rather than sit around and feel helpless, as I did that first year, I’ve created a tradition of baking something for him every year. The sadness never goes away and I will always miss him, but when I bake something in his memory it’s therapeutic; while I bake I think about how great he was–sweet, funny, handsome, and kind, with a mischievous side and the longest eyelashes you’ve ever seen. Such a special person, gone far too soon. This year, I made my choice with his love of peanut butter cups in mind. I know he would’ve loved these. He might have even loved them enough to forgive us for teasing him for getting so old. Make these for someone you love, or someone you miss. 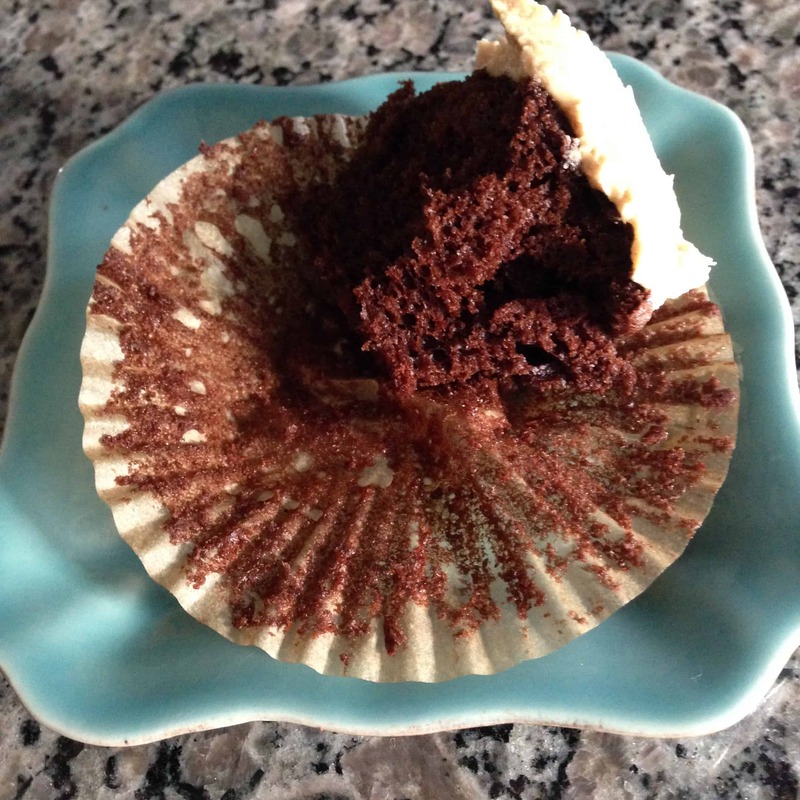 The cupcakes are moist and very chocolatey, and the frosting is something indescribably wonderful. I am not a frosting fan; I scrape it off of birthday cakes; I strategically avoid the corner pieces that have loads of it… I could eat this by the spoonful. (I have eaten this by the spoonful.) Just wait… You will, too. I promise. 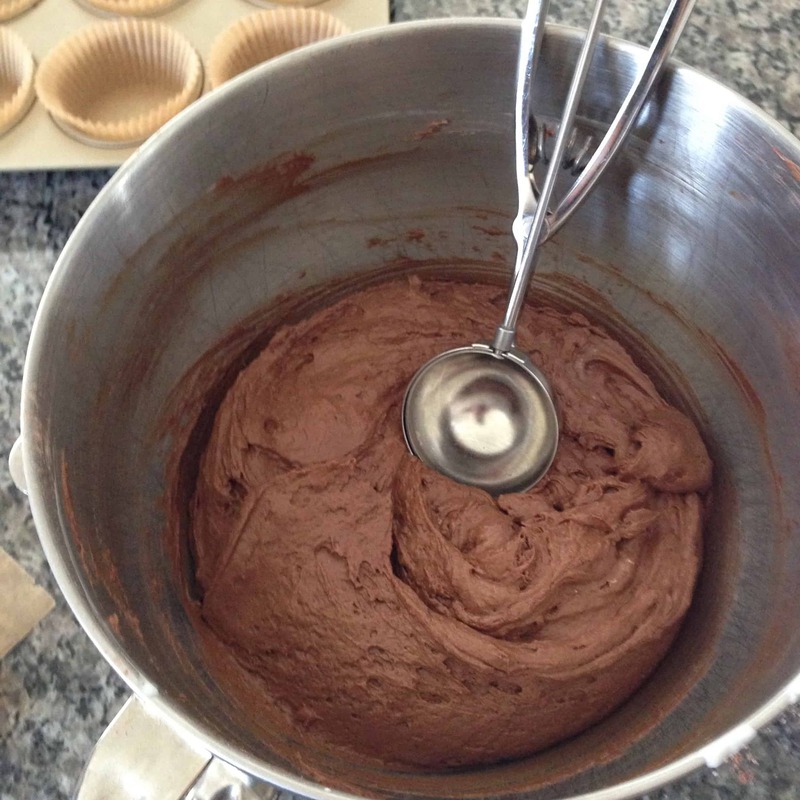 The frosting recipe makes enough for 20 cupcakes, plus a few spoonfuls leftover for shamelessly eating straight from the bowl. *This recipe was inspired by and adapted from The Barefoot Contessa at Home cookbook. I made a few small changes, but she certainly deserves the credit. 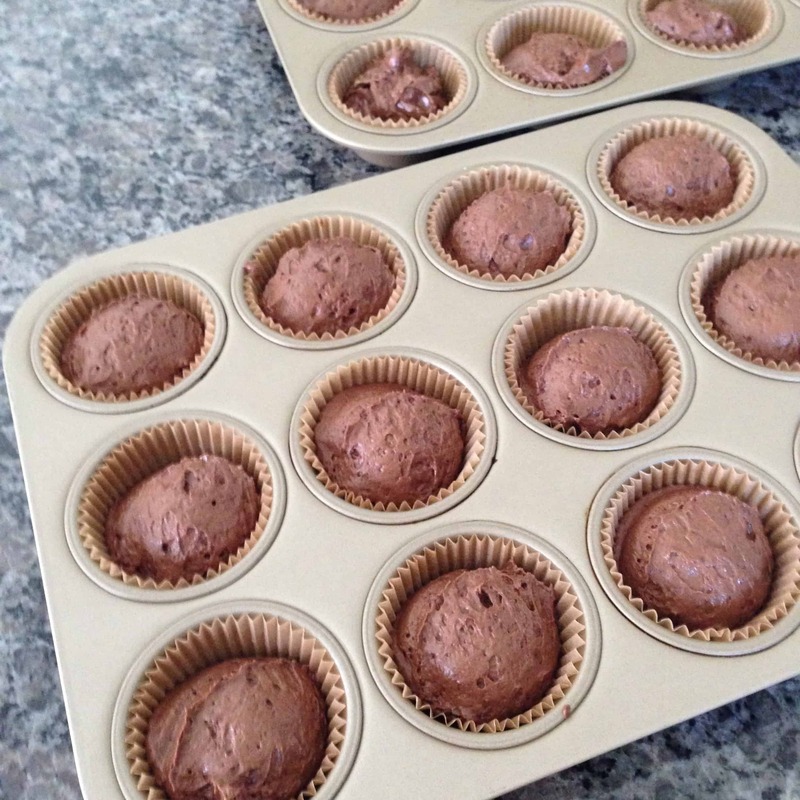 Preheat oven to 350, and line cupcake pans with paper liners. Combine buttermilk, sour cream, and vanilla in a bowl or measuring cup and set aside. 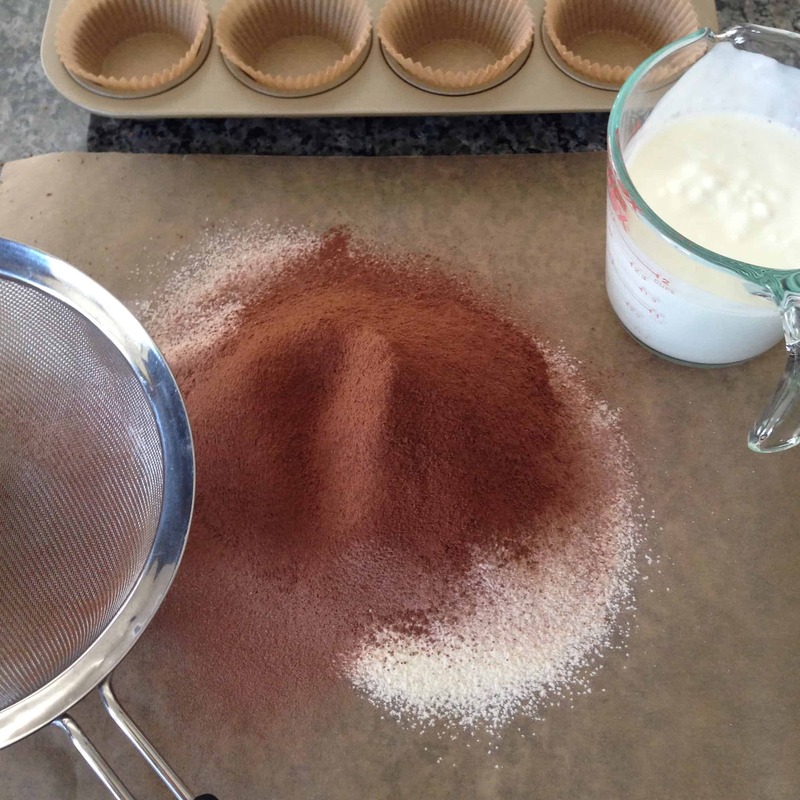 Normally, I’m not a sifter… but I think it’s necessary with cocoa powder. So, over a piece of parchment, or large bowl, sift flour, cocoa powder, baking soda and salt together. 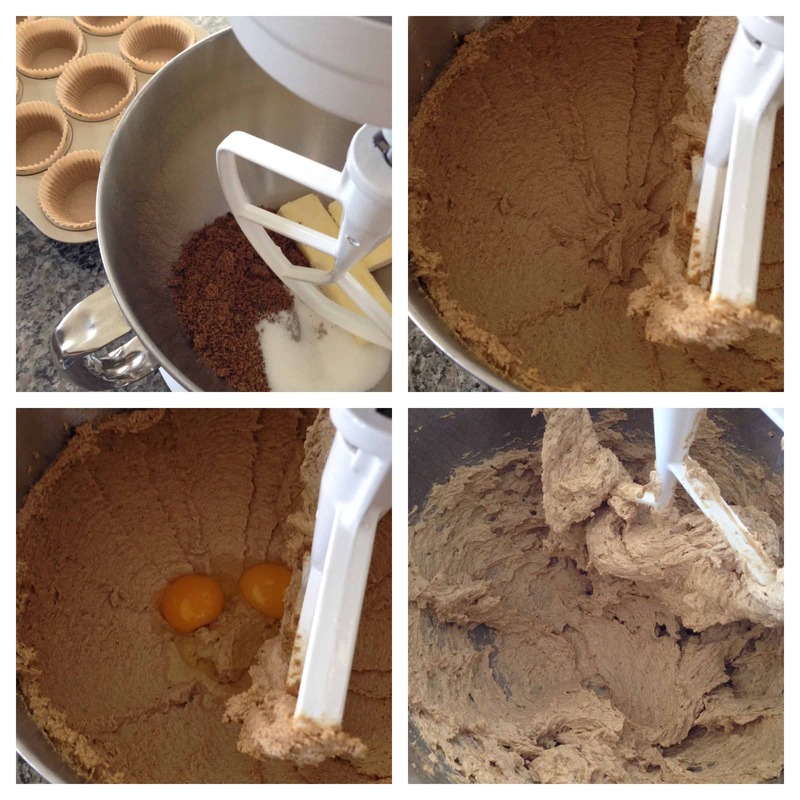 In a stand mixer fitted with a paddle attachment, cream butter, sugars, and coffee powder until light and fluffy. About 5 minutes on medium-high speed. Scrape sides, add eggs, and beat again until light and fluffy. About 2 minutes. Next, with the mixer running on low speed, add the buttermilk mixture and dry mixture, alternately, beginning and ending with the flour. Don’t over mix. Using a rubber spatula, scrape sides and bottom of bowl, making sure everything is combined. Fill liners almost to the top. 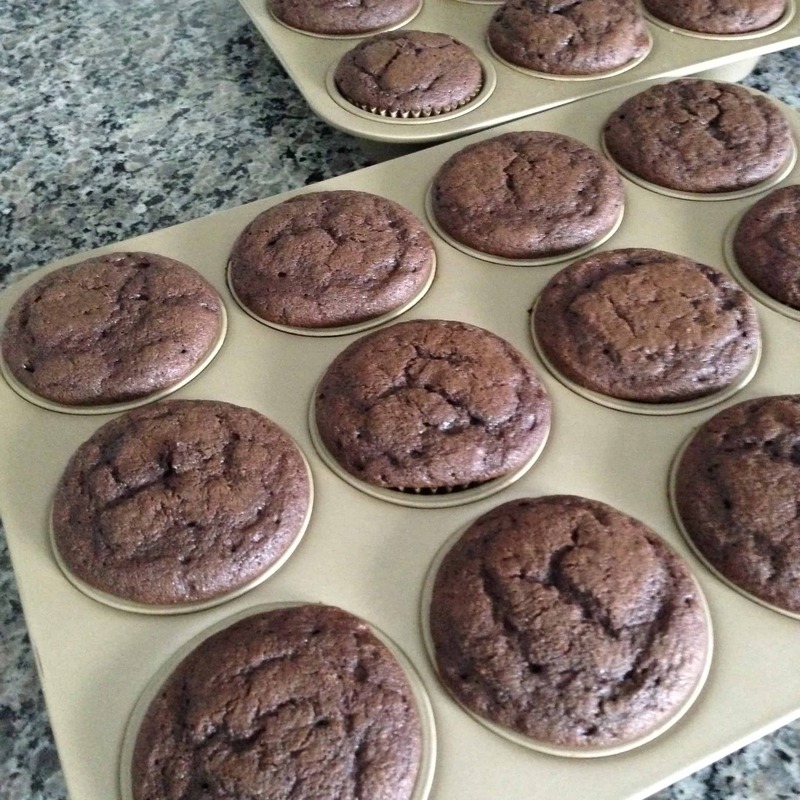 I use a large ice cream scoop, and get exactly 20 cupcakes. Bake for 20-22 minutes, or until a toothpick comes out with a few moist crumbs attached. 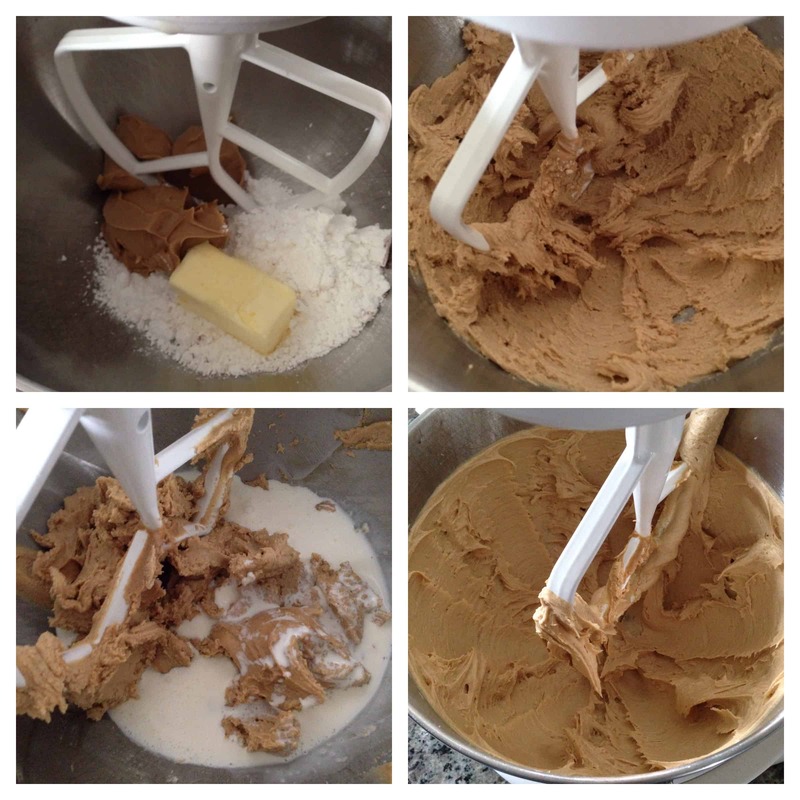 Combine all ingredients except heavy cream in the bowl of a stand mixer. Mix on low speed at first, then increase to medium-high until well blended. Scrape down sides, add cream, and beat on high speed until creamy and fluffy.